The Smile Foundation is excited to have hosted its first-ever Smile Week in Pretoria at the Steve Biko Academic Hospital. 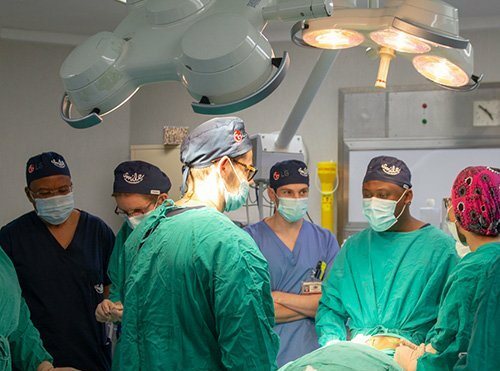 The foundation, of which former President Nelson Mandela was the Chief Patron, assists children across South Africa in need of facial and other reconstructive surgery. With the generous support of donor LG – the Smile Foundation will give 11 children a new reason to smile. These life-changing surgeries have the potential to transform the lives of these young children, their families, and their caregivers. The involvement of the Steve Biko Academic Hospital and the University of Pretoria also facilitates skills transfer to hospital registrars and consultants. This means this first important Smile Week will ultimately assist more children in and around Pretoria through the transfer and development of specialist skills. 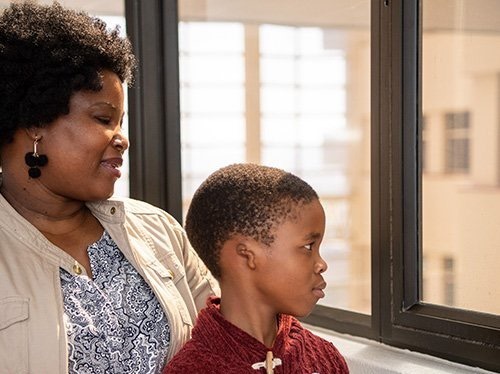 Dr Yvonne Brakovsky, a Durban-based plastic and reconstructive surgeon, will be changing 7-year-old Kabelo’s life forever when she crafts a new ear for her from three of her ribs. Kabelo was born with microtia, a congenital condition that has left her with no external ear and an upside-down ear lobule. A significant physical deformity, this condition often results in teasing at school, low self-esteem and, in 60% to 80% of cases, may even lead to the development of psychological problems. The procedure involves first ‘growing’ new skin to cover the new ear, and then sculpting seven different ear parts from costal (rib) cartilage that are joined using thin wires to make up the completed ear. To ‘grow’ the skin, the surgeon will use a procedure described by the Royal Children’s Hospital in Melbourne. Special gel injections are used to stretch the skin, as opposed to traditional tissue-expanding balloons that are often a source of further embarrassment for the children. The Smile Foundation is an NGO dedicated to helping children with treatable facial anomalies receive the surgical treatment they so desperately need. It works with generous donors and the country’s academic hospitals to facilitate these surgeries that give the children involved a new lease on life. To help put a smile on a child’s face today, SMS “Smile” to 38413 to donate R10.